← Share a Post! All Bloggers Welcome! Time for another exciting chapter in the life of a……. Wait, no, that’s a different blog. Those who have followed this exercise know how it works. For the vast majority of the world not included in that number it goes like this. Although I am not a poet I did use an approximation of that genre to document a lifetime of searching. 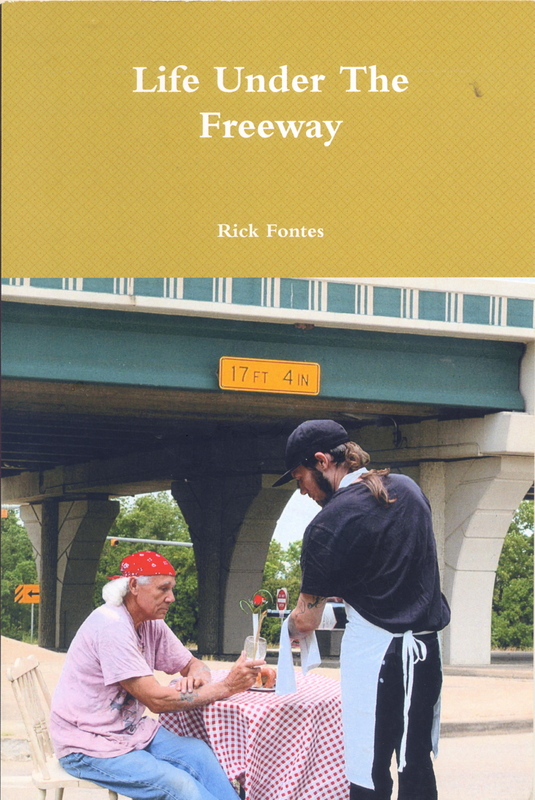 In “Life Under The Freeway” I travel from hope to hopelessness to the realization that neither of those extremes are really worth holding on to. In this blog series I am drawing two numbers at random and transcribing whatever appears on the corresponding pages in the book. There is no set time table for accomplishing this, just whenever the mood strikes. The book does follow a story arc but random postings will not reflect it. Anyone interested in getting a closer glimpse can go to Amazon and use the ‘look inside’ feature. And today’s numbers are: 25 and 30. Circles Within circles Circling around and about. Chasing, the chaser is chased. Who needs? Who wants? Whoever. Never is ever in reach. Dreams fused to reality Tensions release. I begin to drift lazily, A journey into that once shared twilight. This is all that remains of us.